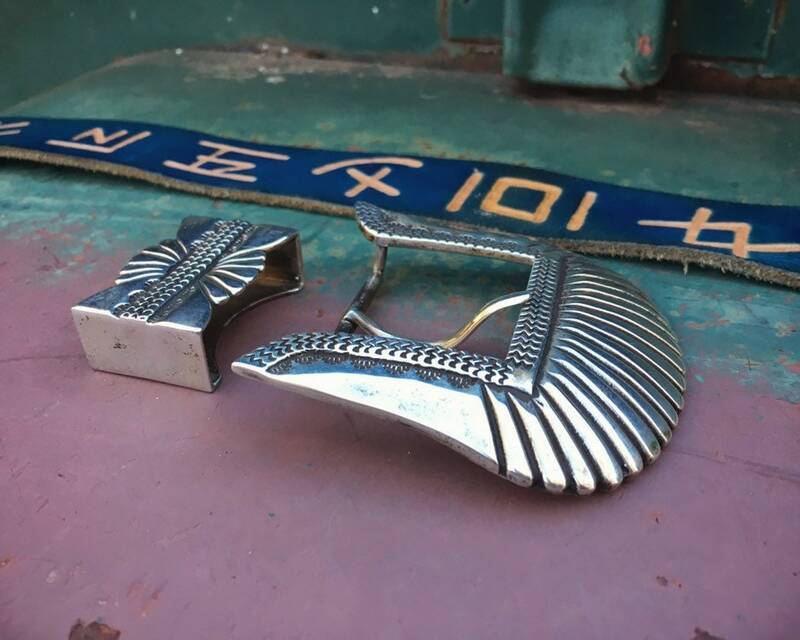 This heavy sterling silver belt buckle is circa 1980s and is in the style called a "ranger set," which takes its name from Texas Rangers who wore sturdy belts to accommodate the heavy Colt pistols they carried on their waists. 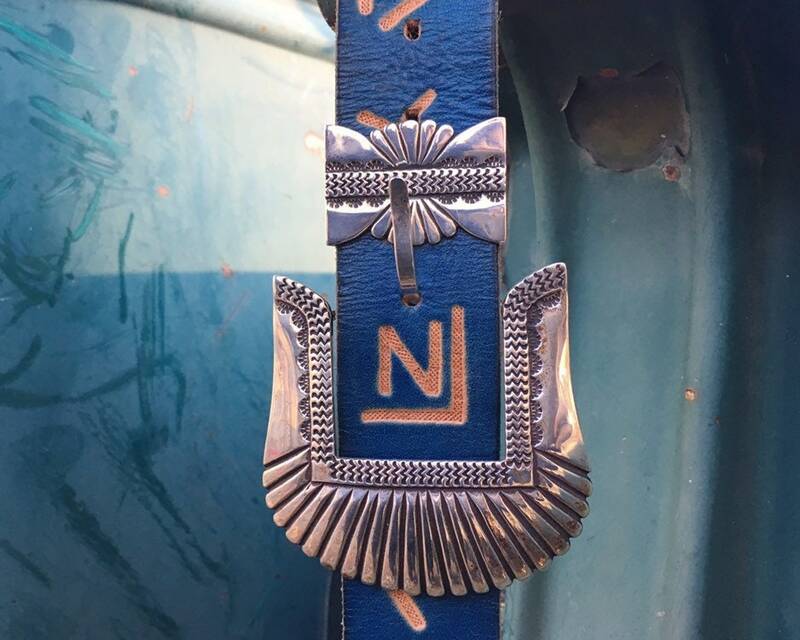 This piece is signed JR LTD S FE for James Reid, Ltd., which at one time was the premier place in Santa Fe and the Southwest for Western belt buckles and other accessories. Reid was born in Texas in 1944, and by the 1970s was living and working as a silversmith in Taos and Santa Fe, New Mexico. He established his company in the heart of Santa Fe in 1979, and it quickly became *the* place to go for Western Americana. 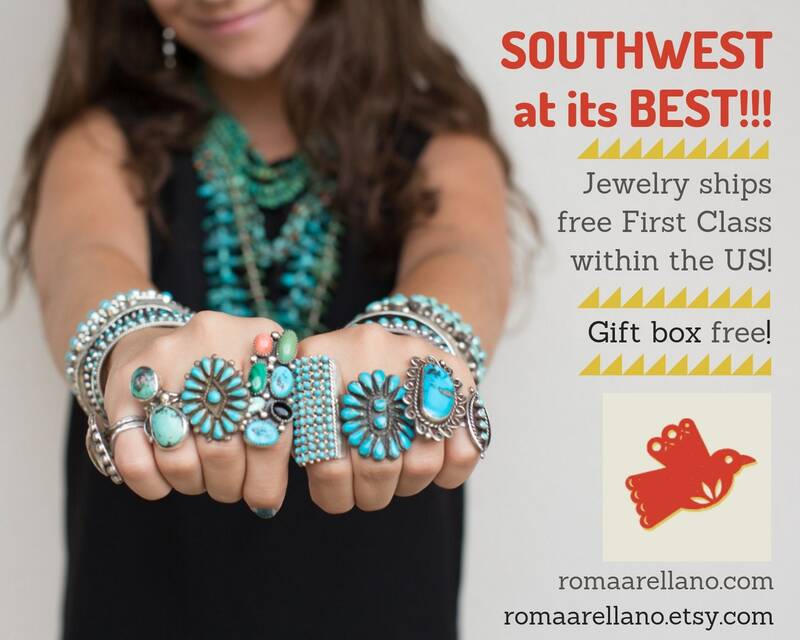 He worked in silver and gold, and in many pieces but especially this one you can see the influence of Navajo and Spanish Colonial styles of the Southwest. This silverwork is absolutely gorgeous--subtle and stunning. It stands out both for the large form and the detail, the way it reflects light and withstands wear over time. 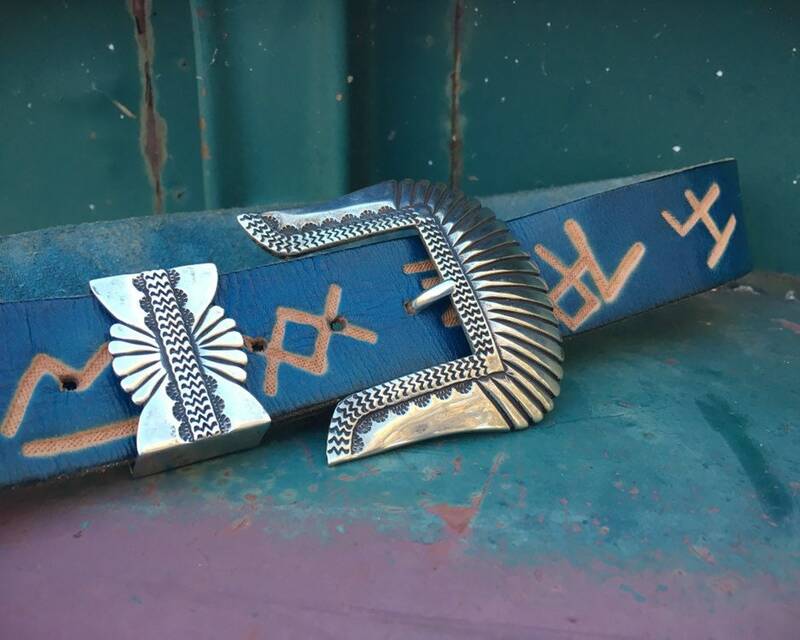 And the belt on which it came--while it is not the centerpiece of the package--is certainly a bonus, as it is great looking, Western ranch style branding iron symbols tooled onto genuine leather. And the blue tanning of the leather is also pretty special as it looks fabulous with denim jeans. This is a unisex piece, and I think it's the perfect joint Valentine's Day or Anniversary gift to be shared and hopefully not fought over! 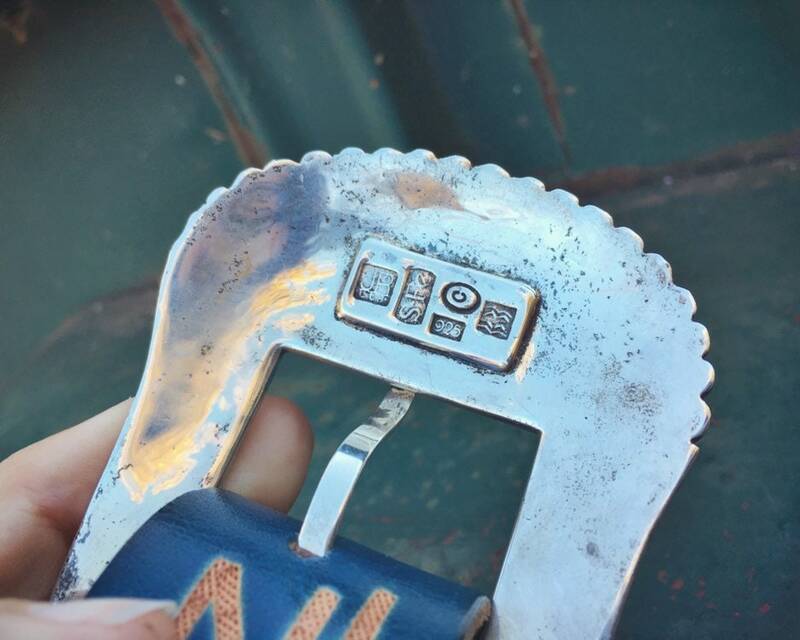 The large part of the buckle is 4" wide by 3" long. Total weight in silver is 128gm. 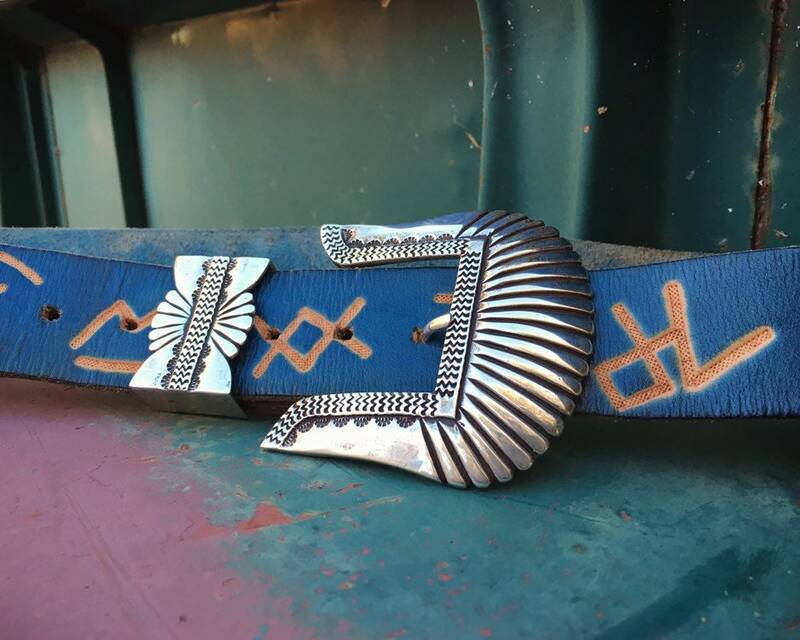 The leather belt is 42-1/2" long and based on where the holes are it can be worn on a waist size from 32" to 40". 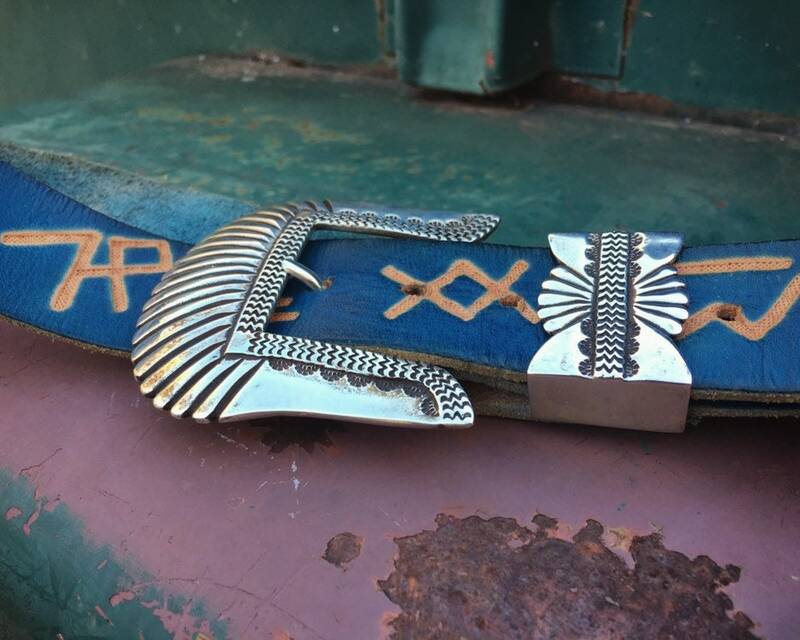 The belt has a snap closure, so the buckle set can be easily swapped out with another belt. In good condition overall. 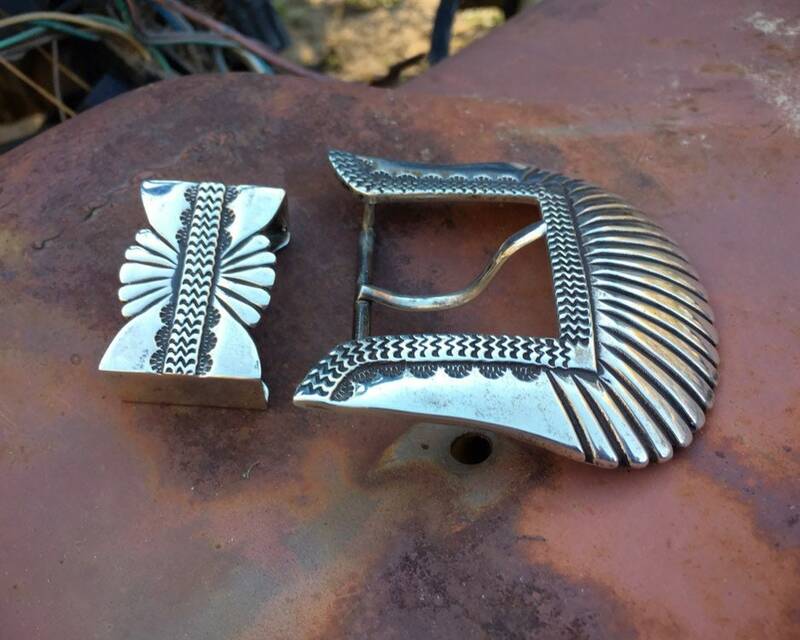 Beautiful artistry, classic Western style.